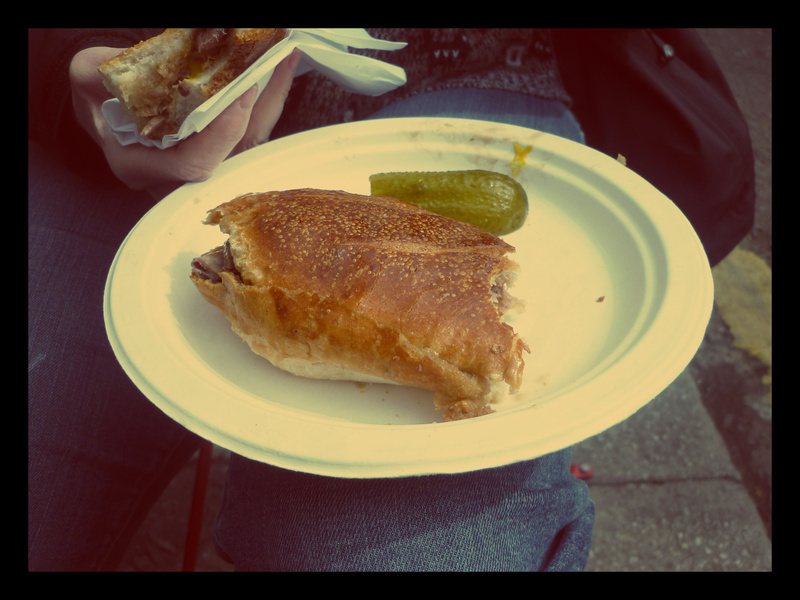 With absolutely no idea what a French Dip consisted of, but hearing plenty of buzz about it on Twitter we headed down to the Station Road Saturday market yesterday to find out for ourselves. The stall was about half way down the road; just by Hive Bar and had a couple of chairs dotted around the stall meaning you can enjoy your sandwich in the buzzy atmosphere of the market. Apparently originating from restaurants in Los Angeles, a French Dip consists of a roast beef sandwich with the bread dipped in gravy or jus. Served alongside a gherkin this is pretty simple, but incredibly delicious. The beef was thinly cut, with just the right amount of fat and perfectly cooked – meaning there is no tug of war with the beef in your sandwich when you bite into it. The gherkin on the side was very appreciated, especially when I made the mistake of putting far too much mustard on my sandwich, causing my nose to feel like it might explode. Tip: less is more! However I do think they may have creating a new French Dip enthusiast! Another plus was that all the ingredients appear to be local with M Moens and Son in Clapham providing the beef and Kindred Bakery in Herne Hill providing the baguettes, which had a lovely shiny glaze to them. I was informed that the next one will be on the 19th May so would really recommend making a visit to the stall that weekend. 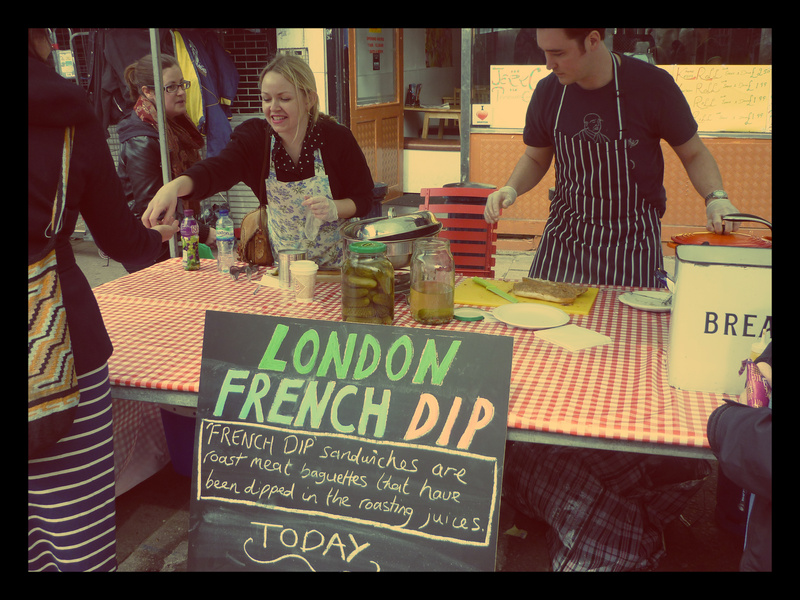 Congrats London French Dip we think you make a brilliant addition to the interesting and diverse foods available in Brixton!